The average plastic bag you pick up at the grocery store, or carry your takeout in, has a lifespan of about 12 minutes. When discarded, they clog sewage and storm drains, entangle and kill an estimated 100,000 marine mammals every year, and degenerate into toxic microplastics that fester in our oceans and landfills for up to 1,000 years. 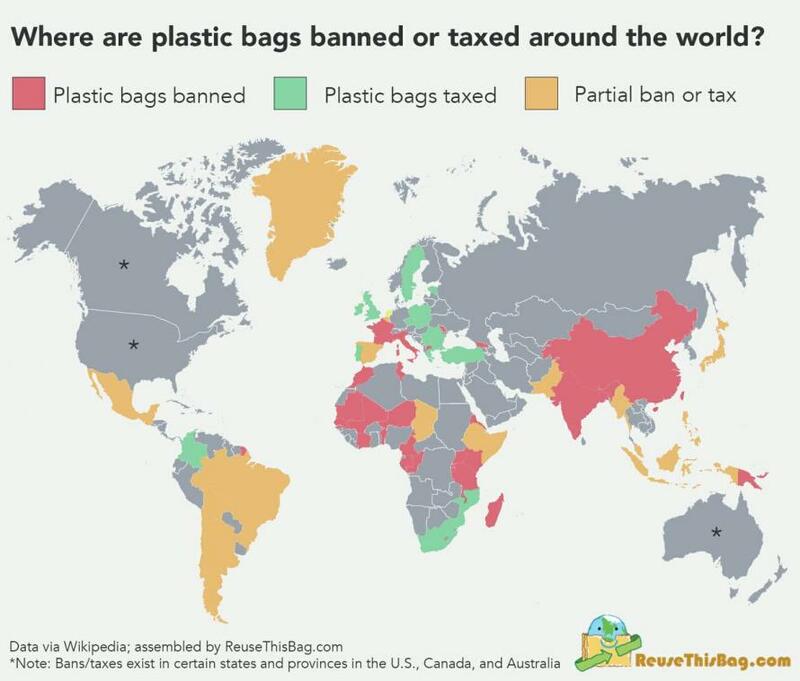 Notably, we’re starting to see communities around the U.S., and the world, mobilize to reduce waste by banning, taxing, or otherwise limiting the use of these plastic bags. 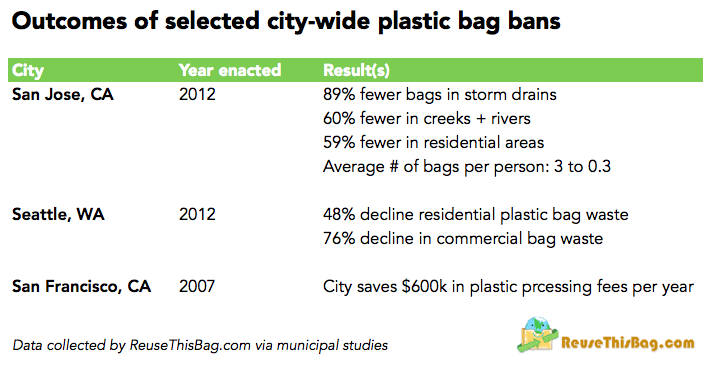 How common are these "plastic bag bans" and is there any data about how effective they are? We analyzed data from Priceonomics customer Reuse This Bag, a company sells reusable bags, to take a big-picture look at where legislation has been passed, and what its effects have been. Which cities in the US are leading the way for plastic bag bans? 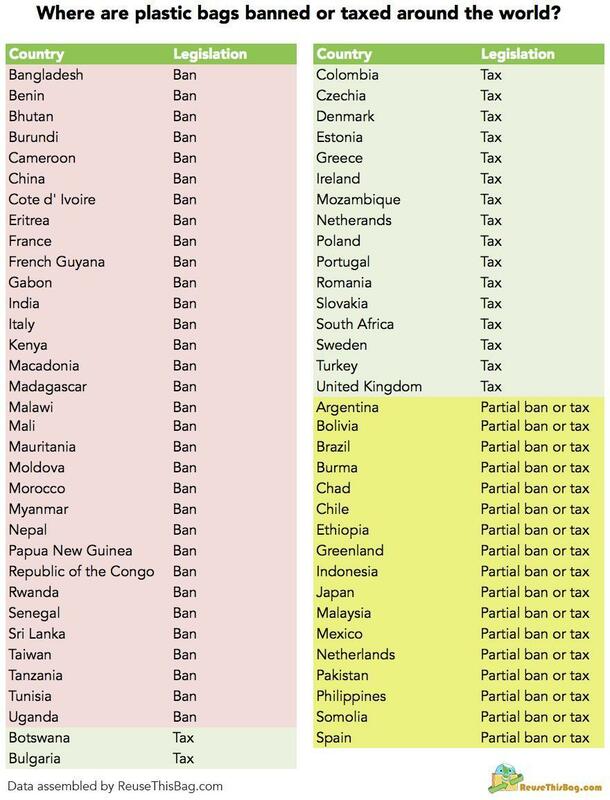 Internationally, which countries have made the most significant push? Globally, as many as 160,000 plastic bags are used every second — and currently, only 1 to 3% of them are recycled. This simply isn’t sustainable behavior and plastic bag bans are one solution to the problem. 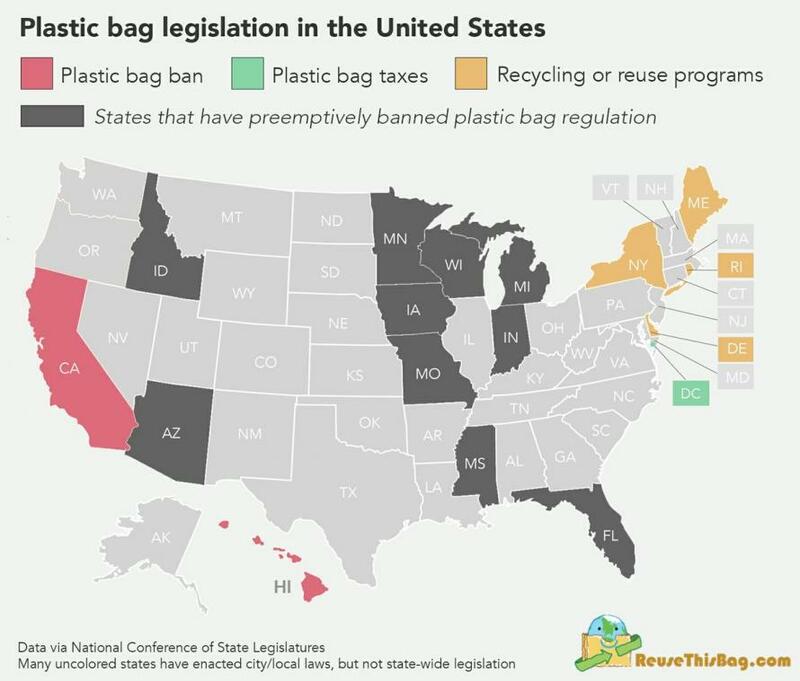 While only two states in America and a few dozens countries have banned bags, the results so far have included a substantially decline in plastic bag usage and waste.